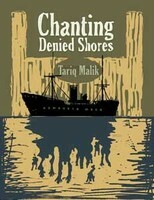 Tariq Malik was born in Pakistan in 1951. He lived in Kuwait for two decades prior to immigrating to Canada in 1995. He lives in Vancouver and works as an industrial chemist. With Vancouver’s waterfront ringing to the verses of ‘White Canada Forever’, hundreds of Punjabi East Indians have quietly sailed into the harbour clamouring for their right as equal subjects of the British Empire to relocate in Canada, their chartered ship ‘Komagata Maru’ now rusting at anchor inside the Burrard Inlet. The hopeful would-be-immigrants find the city distracted by exuberant Victoria Day celebrations, not to mention Buffalo Bill’s final visit and circus billed as ‘The Best Show On Earth’. Set in the plains of Punjab, amidst the breathtaking mountain snowmelts and the monsoon rainstorms, these beautifully told and haunting stories explore the lives and the longings and memories of the Lohar people of Kotli.